Save money on car insurance premiums naturally, you will have to pay for the course. 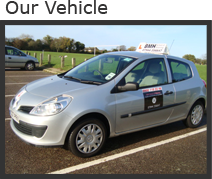 Fees for the PASS PLUS course will vary depending on where you live and the instructor or driving school you choose. Bear in mind too that it will take a minimum of six hours, all of which need to be taken after passing your test. If more sessions are needed for you to successfully complete the course, this may add to the cost. Don’t worry if you haven’t got a car at the moment, you may be able to defer the discount for up to two years. Again, check with your insurance company. If you passed your test more than a year ago you should check that you’ll be eligible for the discounts on offer from your insurance company before you take the course.